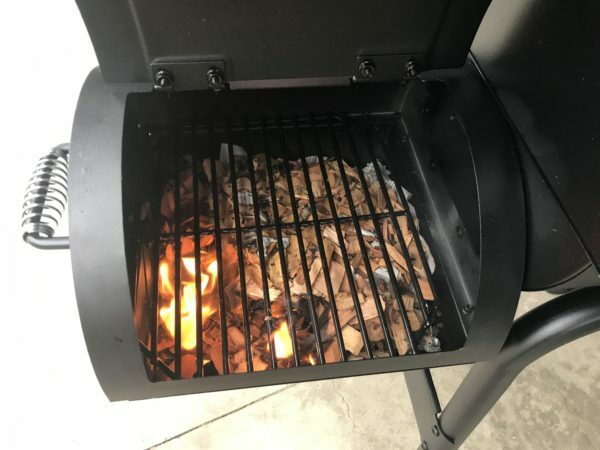 I have smoked things using the barbecue grill before, and it’s largely the same thing that I did here with an offset smoker. I will explain the adjustments as needed for each step of the process. Full disclosure: I decided to start my adventure in smoking a whole fish when the outside temperature was 27°F (-3°C). 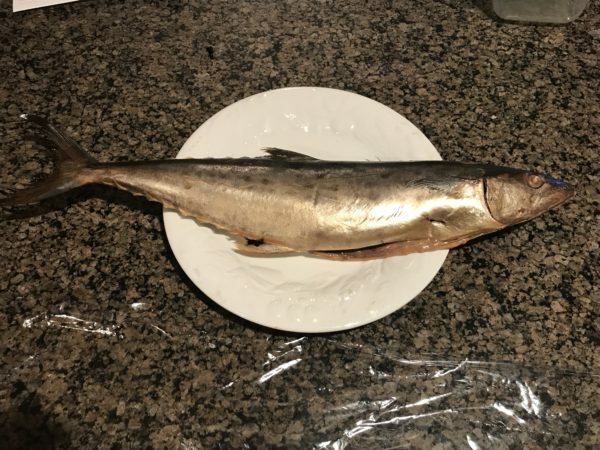 I certainly don’t recommend doing this, since it was impossible to maintain the temperature I needed to fully cook the fish. I finished the cook of the fish in the oven. 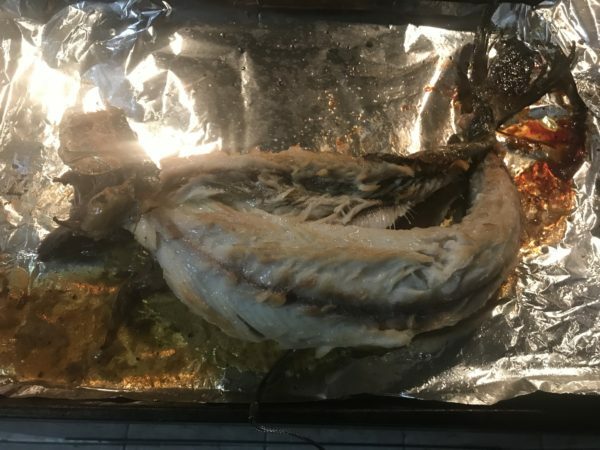 But, in fact, what I did constituted a Cold Smoke of the fish: the internal temperature rarely got above 85ºF, but the smoke flavor imparted by the process was spectacular. Warm the water and mix the brine ingredients thoroughly. Cool the blend completely. Immerse the mackerel in the brine and allow to rest in a cool place for 2 hours. If there is not enough solution to immerse the whole fish, add water and salt in the same proportions. 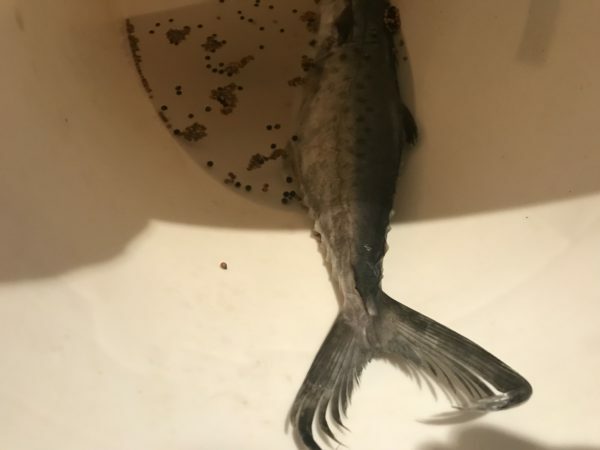 NOTE: this is a large bucket I used with a locking lid, so part of the fish does appear out of the water at this angle. I had it lying on its side during the process. 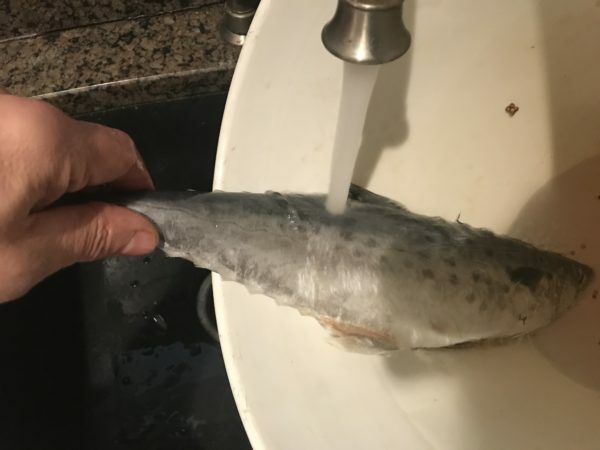 Remove the fish from the brine. Rinse thoroughly and pat dry with paper towels. Mix rice, brown sugar, and tea leaves together and place in a "foil boat". In my case, the foil boat was placed in a steel box for greater stability, but that's not required. Place the foil boat on the rack below where you intend to place the mackerel. 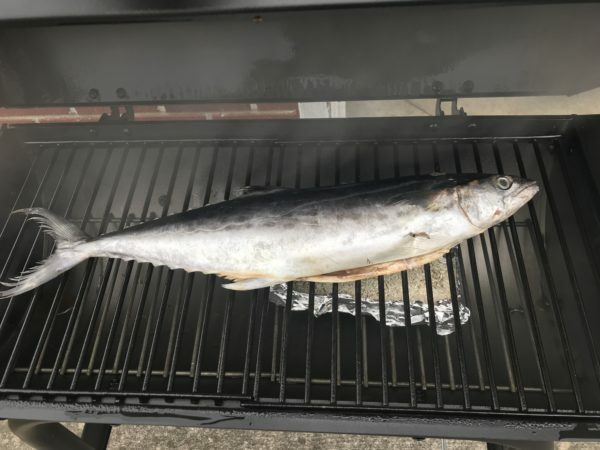 When the temperature in the smoker reaches 120°F (50°C), center the mackerel on the upper rack. Install a remote temperature gauge if available to monitor the internal temperature. If the smoker is hot enough, and the internal temperature of the fish reaches 140°F (60°C), you can fully cook the fish on the smoker. Otherwise, proceed to the next step. Preheat the oven to 400°F (205°C). 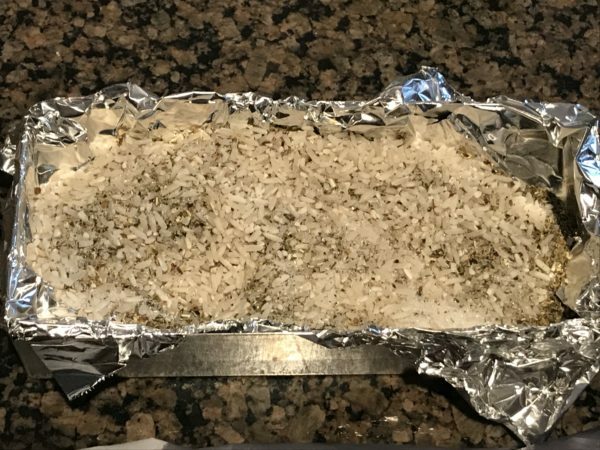 Place the fish on aluminum foil and then place the foil on a baking sheet. Rub both sides of the fish lightly with olive oil, then rub with salt and brown sugar. Cook for 10-15 minutes, or until the internal temperature of the fish reaches 140°F (60°C). Note that the heating process separates the skin from the flesh. This should happen on the smoker if the temperature is hot enough.